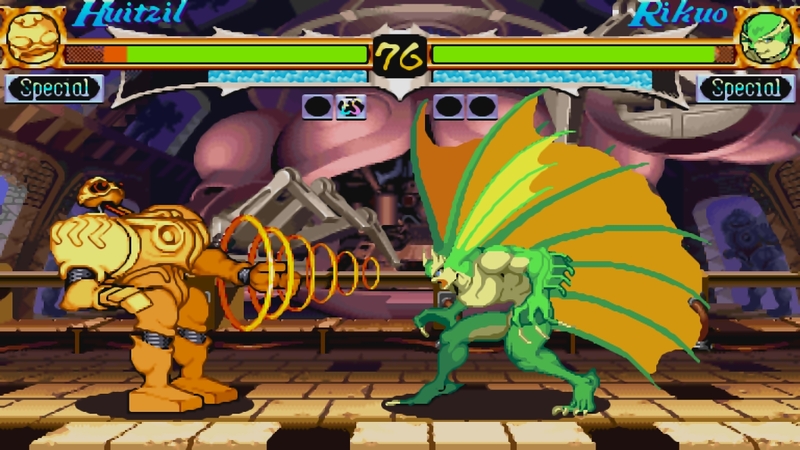 Capcom has brought the Darkstalkers franchise to the current gen consoles with the release of Darkstalkers Resurrection for PlayStation Network and Xbox Live Arcade. 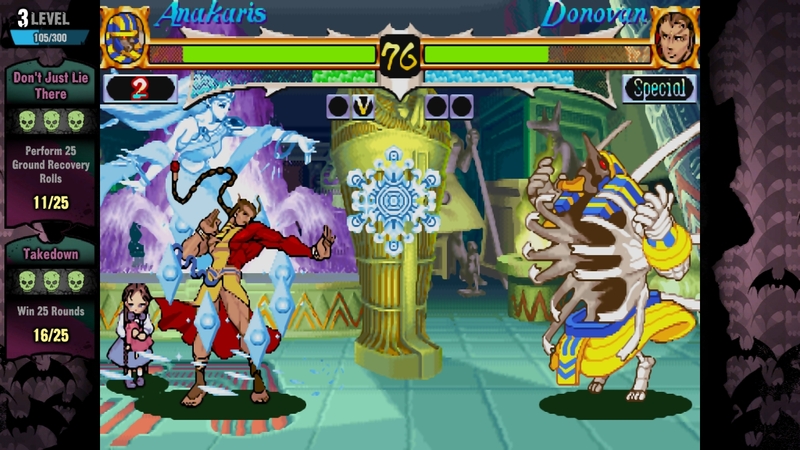 Originally released in the mid 1990’s, Darkstalkers is a 2D fighting game featuring a collection of well known fictional monsters as the combatants. It was first developed to run on the CPS-2 arcade hardware and introduced 16-bit color animation sprites, a concept used in later Capcom fighting games. Known as Vampire in Japan, play with iconic characters such as Morrigan Aensland, Felicia, Baby Bonnie Hood and Demitri Maximoff as they battle for the fate of humanity. 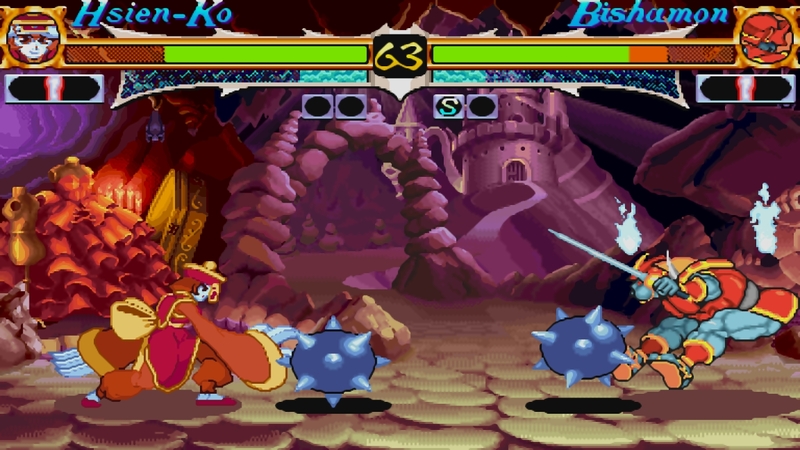 Developed by Iron Galaxy Studios, Darkstalkers Resurrection contains Night Warriors: Darkstalkers Revenge and Darkstalkers 3. Each game includes a “robust GGPO-enabled online game play, HD graphical filtering with multiple viewing options, replay sharing, Spectator Mode, in-game achievements, Tutorial Mode and an unlockable vault filled with concept artwork, videos and more.” The game also includes updated matchmaking, region matching, ping lock and ping display. 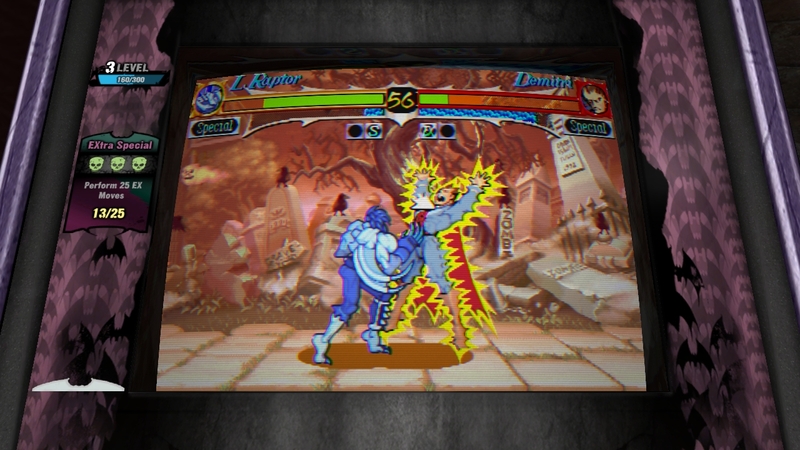 The Tutorial Mode includes trials to help the player increase their understanding of a characters skill set and moves. Darkstalkers Resurrection launches March 12, 2013 for the PlayStation Network (PSN) in North America for $14.99. On March 13, the game will launch for Xbox Live Arcade across all territories for 1200 MS Points. This coincides with the European PSN launch which will retail for (€14.99 / £11.99) respectively. Look for the full review on Darkstalkers Resurrection later this week on Gamer Horizon.